The Alexandra Beach Hotel is a 3 Star home away from home near the popular resort of Zante surrounded by beautiful landscaped gardens offering a relaxing and peaceful retreat on the blue flagged beach of Tsilivi. Set only 250 m from the nearest shops and restaurant, this friendly property is perfect for couples and families featuring bright and cheery twin guestrooms and onsite facilities that include a swimming pool, delicious meals, warm hospitality and excellent service. Guests of the Alexandra Beach Hotel can discover marvellous beaches and fishing villages as well as Zante town just 4.5 km away. Zakynthos Airport is 8 km from the Hotel and the nearest bus station is 300 m away. Local Tips: Tsilivi resort has a very friendly atmosphere with a great range of bars, restaurants and clubs to suit everyone's tastes. Due to the hillside location of this property whilst there are ramps the terrain is steep. 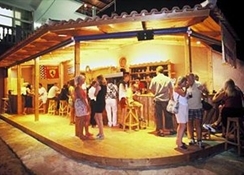 Food, drink and entertainment: Half Board accommodation. The Alexandra Beach provides a delicious buffet breakfast and there is the Terrazza Martini Sea-Side restaurant for lunch and dinner with authentic specialties from Greek, Mediterranean and international cuisine as well as special theme nights. 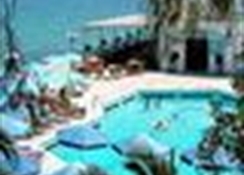 There is also a snack bar by the swimming pool for refreshments and light lunch, a main bar and a beach bar. Beach Parties are organized in summer with DJ's and several surprises for fun and dancing until the morning hours. Please note that a dress code exists for dinner. Beach/Swim wear is not acceptable. Sports, games and activities: Swimming pool with terrace, free sun beds and umbrellas, sun beds and umbrellas on the beach (with a small charge), Water Pedaloes and Canoes on the beach with a small charge, Satellite TV/Video Room, pool tables(extra charge), Gym, arrangements can be made for horse riding and Diving. 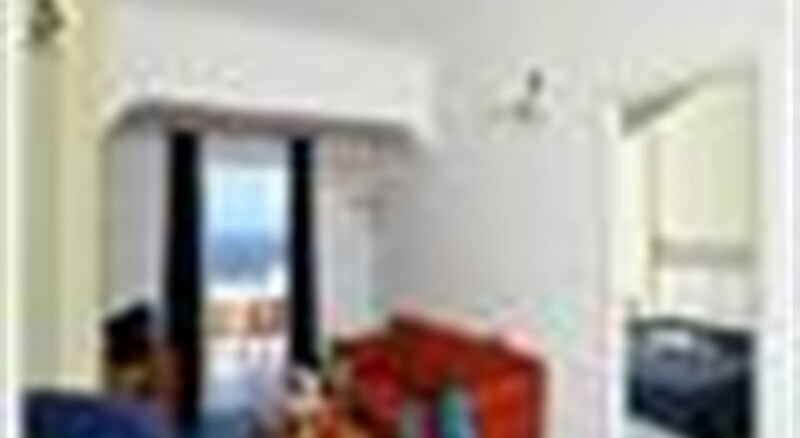 Additional: 24-hour reception, Concierge, all major credit cards accepted, safe deposit boxes available (at extra charge), car and bike rental services, secretarial services, baby-sitting on request (at extra charge), wireless Internet access and Internet corner (both at extra charge), nurse and doctor on call, hairdressing salon and beauty salon (both at extra charge), wedding services and event planning, free parking, mini market.